When our webcam is running, visitors can see a family of badgers in real time, as they leave their setts at dusk in search of food and return before dawn. 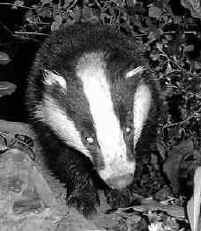 It is hoped that the webcam will be able to capture other badger activities, such as sett excavations and social interactions. 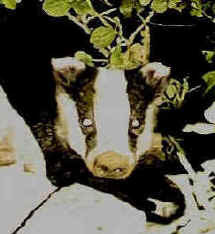 Because badgers are mostly active at night, the webcam must be able to "see in the dark". 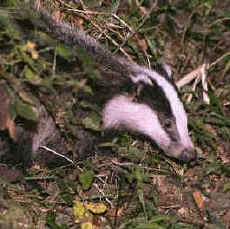 The images below were obtained while testing a number of different types of camera equipment, including one which uses infrared light to see the badgers under low light conditions. While the equipment is set up in front of the badger sett, the badgers are completely unaware that their normally unseen activities are being watched by an audience from all around the world.